If you’ve been considering checking yourself in to an alcohol recovery center in Phoenix, AZ for addiction treatment, you might be wondering what you can expect out of a typical day in the facility. Most such facilities will keep a very rigid and organized structure to their days, with a variety of common activities and therapies. Having this sort of structure helps to prevent stress among the residents and any feelings of uncertainty that might otherwise be present with a more variable schedule. While specific activities vary based on the recovery center, its specialties and its amenities, here’s a good general overview of what you can probably expect out of your stay. You can expect to get an early start to your day when in a recovery center. You’ll be provided a healthy breakfast and the opportunity to attend morning classes such as meditation or yoga to relax you and put you in the right frame of mind to get through your day. The morning routines will focus on your developing new, healthy habits that will stay with you after you’ve been discharged. Typically, there will be group sessions after breakfast under the guidance of a therapist or counselor. These sessions focus on a variety of topics related to your treatment and recovery. The goal is to provide you with clarity about the issues in your life, such as your people or surroundings, that led you to desire alcohol and become addicted. These sessions will help you recognize certain behavioral patterns you can change, or certain triggers that cause you to drink that you can avoid after your treatment has concluded that will help you with sober living in Phoenix, AZ. While the mornings focus on relaxation and mindfulness, the afternoons will typically include the most intensive treatment sessions of your day. After lunch, you’ll go through a series of therapeutic sessions. You may, for example, engage in individual behavioral therapy, which focuses on your behavioral responses to some types of triggers. Your therapist focuses on identifying your triggers, and then on guiding you toward healthier responses when you are exposed to those triggers. This individual session provides you with an opportunity to open up more by talking with a therapist with frankness and honesty. Group therapy sessions also occur in the afternoon, and give you a chance to hear the personal stories of other people. Many people in these sessions have experienced similar struggles, and the sense of fellowship that people develop in these sessions can be emotionally strengthening and healing. There are also various specialized sessions and family therapy, which may be included in these afternoon sessions. Occasionally centers will bring in speakers to share their own stories, and there are other alternative forms of therapy, including art and music therapy, exercise, biofeedback and more. The afternoon often ends with some free time. After dinner, expect another short group session, often a 12-step program. Bedtime occurs at a reasonable hour to encourage residents to get plenty of sleep and continue building healthy habits. 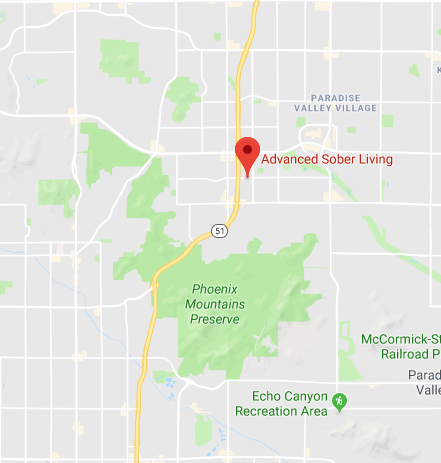 For more information about what you can expect out of your stay at an alcohol recovery center in Phoenix, AZ, contact Advanced Sober Living today.